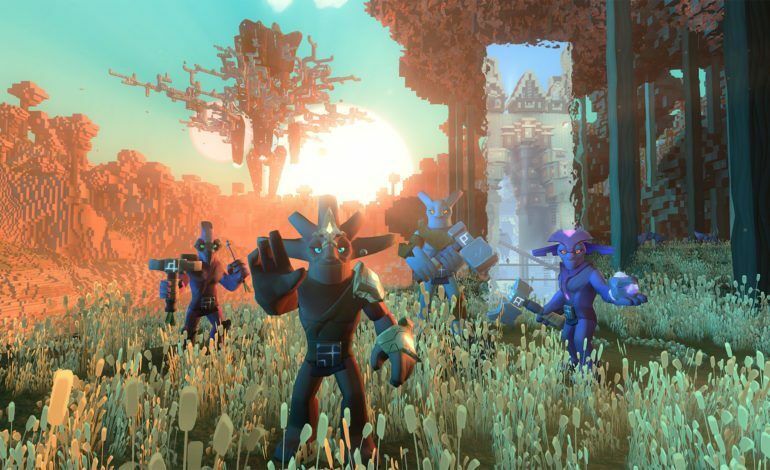 Developer Wonderstruck has announced that its Voxel-based MMORPG, Boundless, is almost ready to leave early access and get its full release. The game has been in Steam’s Early Access since 2014, and it was originally called Oort Online. Its name changed to Boundless in 2015, around the same time Wonderstruck also announced a version for the PS4. Now, Boundless‘ release date is confirmed as September 11, 2018. Players will be able to move between worlds by portal, and play the game solo or collaboratively. “The game is voxel-based, with loads of different materials to discover. Starting with a lonely campfire, you could end up the Viceroy of an entire planet, with legions of followers,” Wonderstruck added. Boundless releases in full on September 11 for PC, Mac, and PS4. Wonderstruck will also continue working on the game, and promises that “new creatures, weapons, and materials” will come in regular updates after its launch.